It was back in 1998 when I fell from the balcony of my apartment in the Austrian Alps. I was 23 years old and only 2 days into a long-awaited snowboarding trip. It was all so confusing: the ambulance, the local hospital, the transfer to Innsbruck in the middle of the night. Then suddenly there were all these serious looking doctors with heavy German accents around me and I was just trying to comprehend what had happened – it was pretty bad, that much was obvious! Then, with no insurance cover, it was an overland drive back to the spinal injuries centre in Sheffield – but that’s another story. It’s remarkable then that these are the very things I find myself explaining, 18 years later, in a ‘mock’ interview with a senior manager at a world-renowned finance company on the top floor of a state-of-the-art office building right in the centre of Manchester! 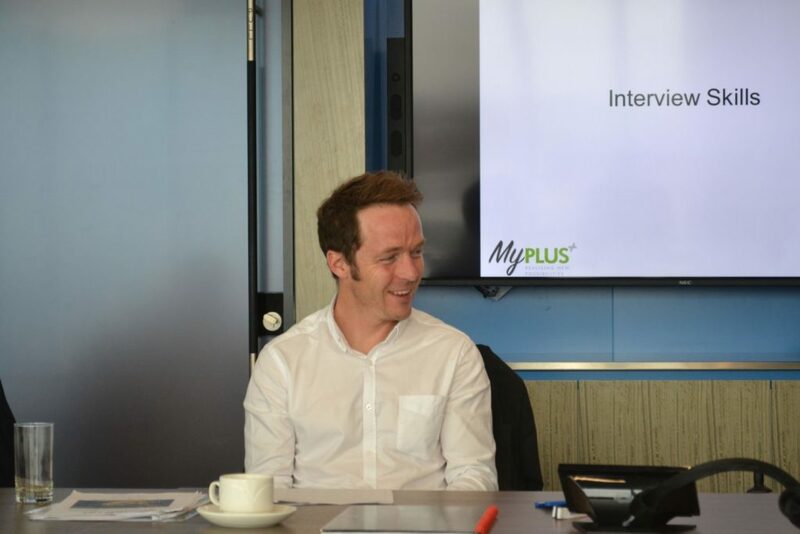 Ironically, I hadn’t actually wanted to do the Back Up to Work course that this interview was a part of as I had initially contacted the charity about trying skiing again. But I was out of work due to a bit a crisis where lots of spinal cord injury related health issues caught up with me as I turned 40 and I thought – why not! I must admit the thought of working on my CV, having to talk in front of others and doing speed interviews was a bit daunting and, like everyone else, I had my reservations. This wasn’t going to be zooming down the sparkling slopes with the wind in my hair. But I have to say that this was one of the best and most useful courses that I have ever been on. I was made welcome right from the start by the Back Up staff and group leaders. The whole team was so friendly and supportive and the course tutor, Helen, was absolutely brilliant. The content was fun, thought provoking, lively and interspersed with real life anecdotes and really insightful tips for finding and securing your dream job. 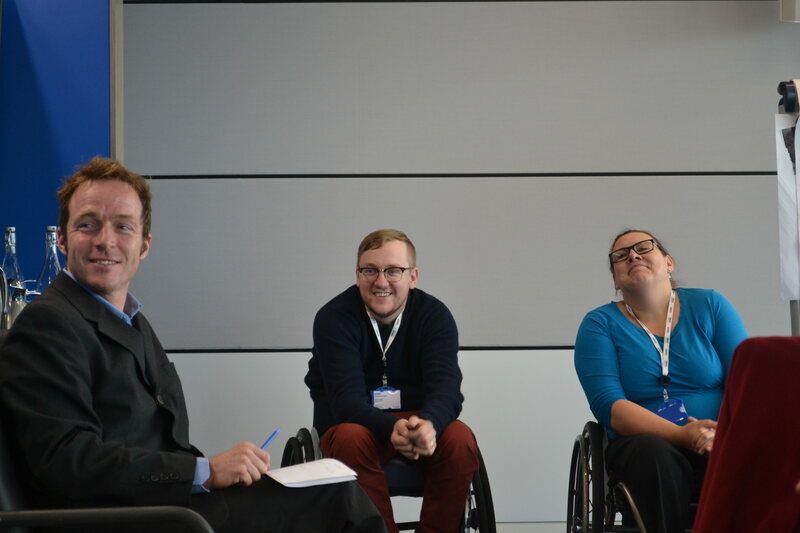 Added to this, we had some inspirational talks from the top team at KPMG and face-to-face advice sessions with experts from throughout the company. By the time I got home I was raring to go with a revamped CV and cover letter at the ready. I applied for 2 positions within a week and, not a month after the course, I had my first interview employing my new-found skills and later that same day – a fantastic new job in the bag! So, I think I will be going skiing this year after all! Our next Back Up to Work course will be taking place in Birmingham, November 21-23 2017. Apply online here or email Andy (andy@backuptrust.org.uk) if you’d like more information about the course.